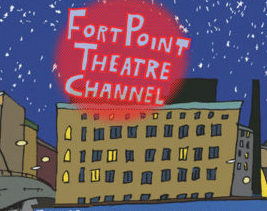 A Pangyrus Reading at Fort Point Theatre Channel! Pangyrus is the work of a talented team, many of its members writers. On March 22nd they step out from behind the curtain and read from their own works! Come hear fiction editor Anne Bernays, poetry editor Cheryl Clark Vermeulen, managing editor Cynthia Bargar, editor Greg Harris, and more read some of the best material you’ll never see in our pages!